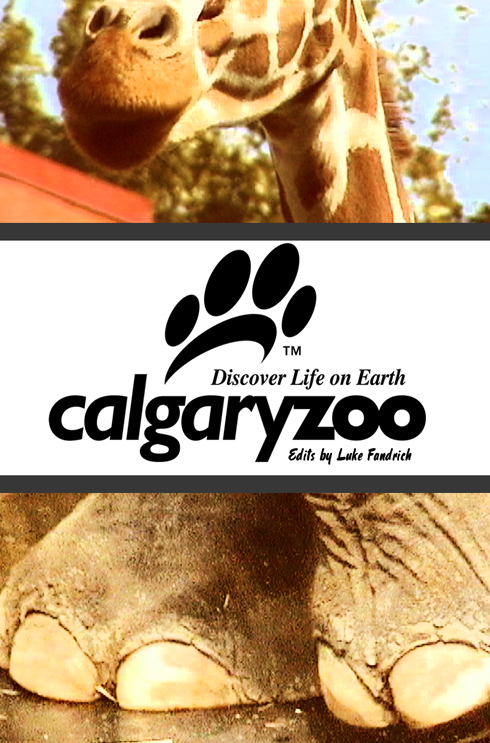 Having been to the Calgary Zoo numerous times, I'm almost always surprised by how different your experience can be each time. Short of going on safari, it's actually the next best thing to capturing candid and spontaneous shots of animals that you otherwise can't see in Canada. Over the summers of 2005 and 2006, I made several trips to Calgary and spent the afternoon at the zoo. There's potentially more footage to be shown here, but I thought it was about time that I at least reorganized the original short edits that I uploaded back in 2007. To refresh the quality of the videos (which were originally quite pixelated) I re-uploaded the three short clips that I had cut from several longer travelog type videos I'd made titled, At the Zoo. Intended to be slice-of-life, observational type shorts - these mini clips are no different than the longer projects really. What I enjoy about seeing some of this footage now is how my shooting technique still spoke to my style as an editor. You can see by the shots that I was thinking how I'd cut for a transition, for example, how shooting the skylight of the African Savannah exhibit outdoors, and then zooming out from the skylight indoors was a simple way to move through space. Some of these things seem so obvious when watching, but most amateurs (and film students even) don't always think about how their shooting style translates - or that they even have a style for that matter. There are a lot of clues here to how things have evolved in nearly 5 years time. However, editing aside, these are fairly casual, fun, and upbeat vids. Animals are easy subjects, and certainly energetic enough to make for lively clips. Enjoy.